How to Use Two Whatsapp Account in a Single Android phone (Non Rooted) – OGWhatsapp:Whatsapp has totally changed the messaging trend in the modern world. I remember the days when people used to spend a lot of money for messaging via SMS service. But, today, one can easily interact with each other via Whatsapp messaging service without burning hole in their pocket. There are billions of whatsapp users all over the world and is increasing day by day. The best thing of Whatsapp is it allows international messaging without any charge. The only limitation in Whatsapp is Using Two Whatsapp Account in a Single Android phone. Usually, this problem is faced by dual SIM mobile users. But do not worry, if you are wondering about below perceptions, then I can help you out of it. 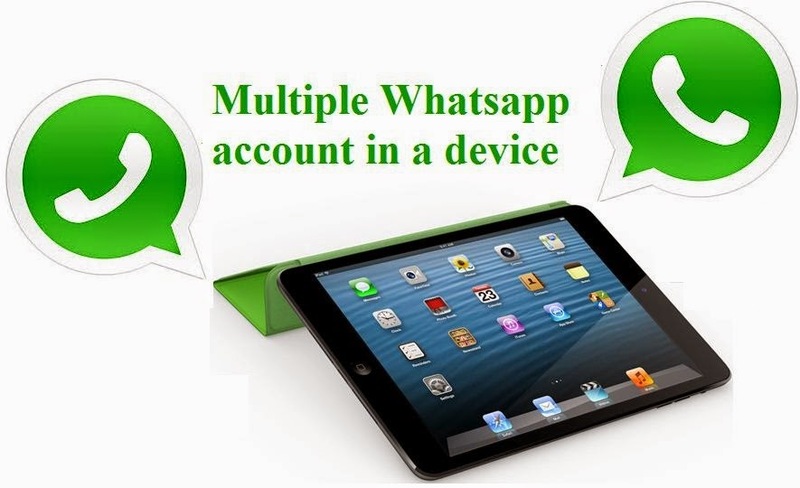 How to use multiple Whatsapp account in an android phone? How Can I use two Whatsapp account in my Dual SIM Android phone? Is it possible to use more than one Whatsapp account in a single android phone? What is the procedure to Use Two Whatsapp Account in a Single Non rooted Android phone? The perception of the question “How to Use Two Whatsapp Account in a Single Android phone (Non Rooted) ” differs from people to people but the answer remains the same –OGWhatsapp. Describing in short, OGWhatsapp is the modded version of Whatsapp Messenger for Android phones. It can be used Use Two Whatsapp Account in a Single Android phone without rooting it. So, one can easily use 2 Whatsapp account their dual SIM android phones. It is compatible to almost all android phones. It allows a user to Use Two Whatsapp Account in a Single Android Dual SIM phone. It is bug free and runs without any lags. It does not require rooting of android phone. It is based on latest Whatsapp version. It supports ART runtime system (Tested on Android 4.4.2). Now, let’s move forward to the steps to install OGWhatsapp in your android phones for using two Whatsapp accounts. At first, make a full backup of your Whatsapp messages and data before going through OGWhatsapp. You can see the backup option at Whatsapp settings. Now, clear Whatsapp cache and data by going toSettings>>Apps>>Whatsapp>>Clear Data. Noe, open the file manager you are using and go to /SDcard/Whatsapp folder. Now, rename it to /SDcard/OGWhatsapp. Now, uninstall your previous official version of Whatsapp by going to Settings>>Apps>>Whatsapp>>Uninstall. Now, install OGWhatsapp by downloading it from the below link. Once you install it, it will ask you for your mobile number. Give your old number via which you were using your previous official version of Whatsapp. After entering your number, click OK.
Now, your OGWhatsapp is ready with your old number. For your second number, go to play store and download the Official Version of Whatsapp or you can use the apk file too. Go on with the normal procedure for Official Whatsapp. Once it is done, you would see you are able to Use Two Whatsapp Account in your Single Dual SIM Android phone. That’s it. You’re done. You have successfully installed OGWhatsapp. You would now be able to Use Two Whatsapp Account in a Single Android phone without rooting. If you face any problem or have any query related to this article, then feel free to contact me by commenting below. Fore more such interesting articles, follow us on Facebook or prefer SUBSCRIBING US. Thank You.